Shadowlands, veteran troubadour Matt Epp embarks on a journey through the geographies of darkness within him, sending back transmissions of lush, haunted Americana that embrace the dualities of this human thing—love, light, and the absence of each. He traverses spiritual and physical worlds deftly, conjuring the twilight wilderness of his home with hazy, transcendental psychedelia (“North Country”), chasing muses on his road-worn Honda Shadow amidst incendiary roots rock (“Runaway”), floating through ghostly, glowing folk alongside mystical guides (“Uncharted Waters”), and raging against social and environmental injustice on the acerbic battle cry “Unnatural,” recalling Neil Young’s pointed activist anthems. Epp’s 10th album represents his first steps over the threshold in this odyssey, and its piano-led curtain-closer, “In a Flash,” is a promise to continue fearlessly navigating the gathering tempests and crises of faith that define its world. The corporeal helpers that brought Shadowlands to this plane—a rogues gallery of world-class tune-slingers—did so over fateful spring nights in the hills of Nashville, Tennessee at Dark Horse Recording. With Toronto pedal steel magician Aaron Goldstein at the producer’s helm, Epp’s award-winning songwriting is transformed, arriving with more powerful force than it ever has before, and blazing a new path for its author. Born in rural Manitoba and hailing from downtown Winnipeg, Justin van Damme is a song-writer, performer, and garbage photographer. With a focus on grit, his work is sparse yet lively, full of raw character and unadorned. Vacillating between verbose ferocity and unkempt vulnerability, his vocals are accompanied by a distinctly forceful and thumpy-brutalist guitar-style that straddles rock, blues, and folk. Cutting his teeth in various projects over his thirteen years in Winnipeg, Justin van Damme's solo DIY sound is a meditation on self-reliance and a response to the question of how one artist can sound big without loops or samples. 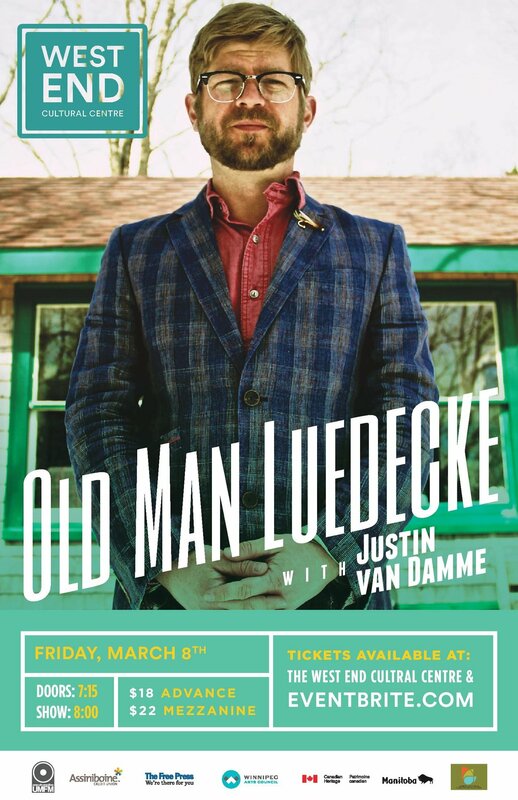 His forthcoming album, Justin van Damme as Himself, is comprised of single-take sessions and is inspired by the honesty and intensity of pre-war blues recordings. Justin is currently promoting his debut album, due out this spring, and working on new material. He is an artist in residence at the West End Cultural centre for the 2018/2019 season. “Amber Epp is like bottled enthusiasm with an undertone of joy. Her music is absolutely contagious.” (Heather Bishop). The Amber Epp: Canadiana concert is a jazz interpretation of The Great Canadian Songbook. Amber Epp transforms songs that you love from classic Canadian artists like The Guess Who, Joni Mitchell, and KD Lang, while infusing the set with tunes by contemporary artists like Serena Ryder and Daniel Caesar. The furthest thing from a cover band, Epp and company preserve the original spirit of the work while presenting it with a new energy. Epp‘s process is to retain the original melody and lyric of each song, while transforming some aspect of the song to make something new. The pop tune becomes a bossa nova; the indie rock tune gets reharmonized; the power ballad is pared down to voice and percussion. The idea is to keep original spirit of the tunes, the thing we all love about the tunes, and present something new along with it. Epp will enlist the skills of her bandmates, Aaron Shorr (guitar), Julian Bradford (bass), and Daniel Roa (drums), who all have experience composing, arranging, and interpreting songs by Canadians. Original music will be included in the show, songs they hope to be remembered by - their contribution to Canada’s incredible artistic tradition. This concert allows these musicians to carry the torch for Canadian ingenuity in the arts, right here in Manitoba. One of Winnipeg's best bands, Ego Spank, backs up four of Winnipeg's top singers in a tribute to the legendary musician Prince. California's Bay Area was home to many seminal punk bands. One of the most influential being iconic ska-punks, Operation Ivy, who blended thrashy punk rock, second wave ska and socio-political lyrics to create something that hadn't yet been heard in 1987. Though, co-founders Tim Armstrong & Matt Freeman found broader success with their 90's outfit, Rancid, it was Operation Ivy who laid the framework for a whole era of angsty ska-punk. Jesse Michael's lyrics of social justice and unity among divisive times that made the band just as poignant today as they were three decades ago. Here in Winnipeg, a cast of local who's-whos unite to pay tribute to Operation Ivy upon the 30th anniversary of the band's epic 27-song self titled LP, put out just months before they disbanded - calling it quits after just two years. "We had done a couple of gigs nearly a decade ago. The response was overwhelming. The amount of energy a room can hold while those songs are performed live really depicts the level of impact this band had on the world," states singer Johannes Lodewyks (SubCity Dwellers, Noble Thiefs) as he recalls the tribute gig his band (deemed "The Ivy Operation") played to a sold out Royal Albert Arms in the summer of 2010. "It's time again to throw back to the band that brought us all to where we are now." Lodewyks is joined by fellow Kids on Fire bandmate, Leif Gobeil (Vibrating Beds), on bass, Slow//Steady frontman, Dylan James, on drums and country troubadour, Greg Arcade playing the part of Tim Armstrong. 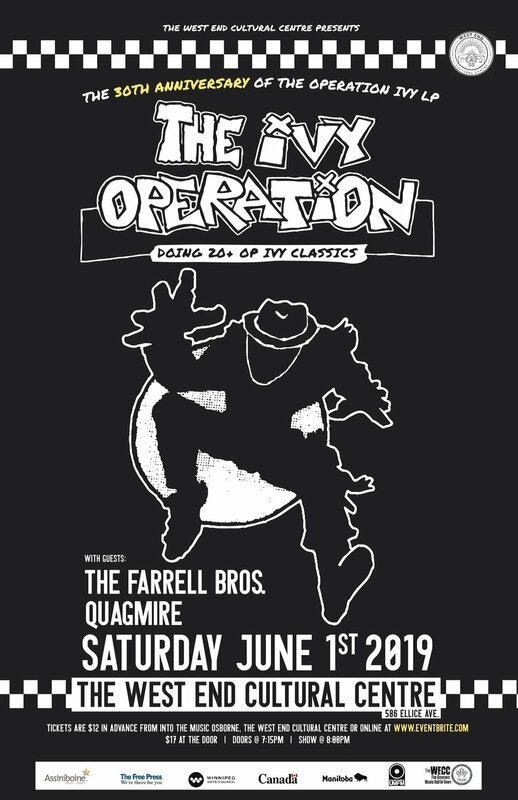 The night will be rounded out by twenty-seven-year-running rockabilly act, The Farrell Bros., and grit'n'roll punks, Quagmire. Of how many artists can it be said that they’re still getting better, 33 years into their recording career? Colin Linden can certainly be considered a member of that select club, based on "From the Water," the 11th solo album in a storied career that has also featured his work on literally hundreds of other records. At last count, the total number of albums on which he has played stood at over 300, while at least 70 albums bear the “Produced by Colin Linden” credit. Tickets available through the Jazz Winnipeg Festival. Tickets available through the Winnipeg Jazz Festival. Brenda Gorlick has been involved in the Performing Arts world for over 40 years in many aspects of the business. 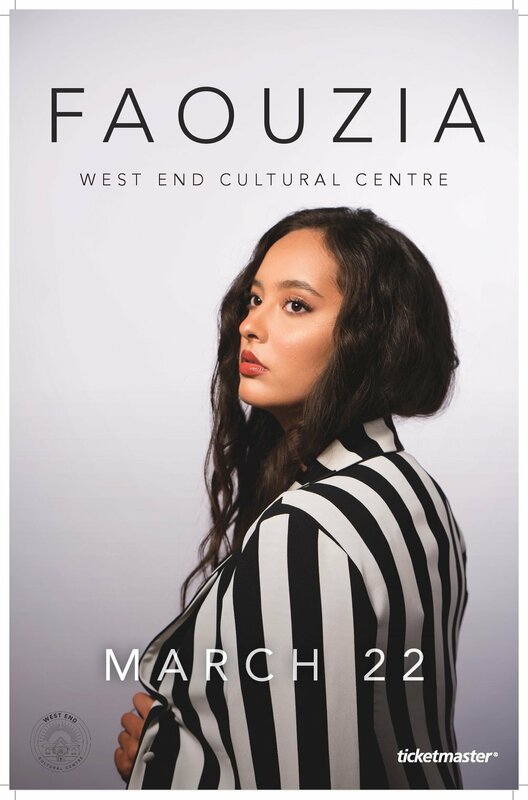 As a performer, she has acted, sung and danced her way across Canada, the U.S. and parts of Europe including Canada’s Royal Winnipeg Ballet, the acclaimed Stratford Festival and the Banff Centre of Fine Arts. She received a Women of Distinction Award for Arts and Culture in 2015 and was named to the Wall of Fame at Rainbow Stage in 2014. 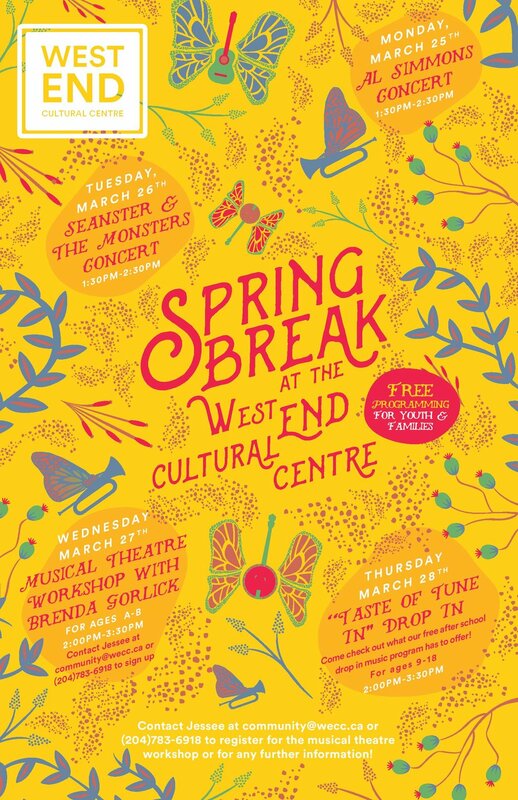 Brenda serves as Associate Artistic director for Winnipeg Studio Theatre – a cutting edge professional musical theatre company which has produced hit shows such as Spring Awakening, Altar Boyz and the world premiere of Hersteria! She helms the youth and adult StudioWorks program – a training wing for emerging artists who wish to excel in “triple threat” technique. The troupes have performed at numerous events including Winnipeg Fringe Festival, Words and Deeds Gala, WSO’s Adventures in Music series and the 2017 Canada Summer Games. Ms Gorlick had the great challenge of creating the Opening and Closing ceremonies for the1999 Pan Am Games, the biggest choreographic event Winnipeg has seen. She also choreographed ceremonies for the 2003 Western Canada Summer Games, 1997 Canada Summer Games in Brandon and was the Performer Liaison for 2017 Canada Summer Games in Winnipeg. She has been involved in over 250 productions including every theatre in Winnipeg over the past 35 years. Selected credits include: Hamlet starring Keanu Reeves (Manitoba Theatre Centre), Strike! 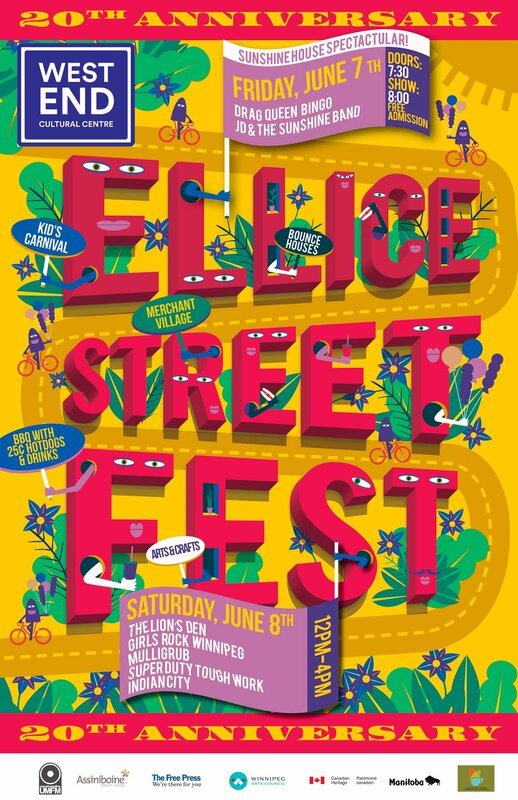 the Musical (Danny Schur Productions), A Year with Frog and Toad (Manitoba Theatre for Young People), Funny Girl (Winnipeg Jewish Theatre), die Fledermaus (Manitoba Opera Association), Le Train (Cercle Molière) and Altar Boyz & Heathers (Winnipeg Studio Theatre/Prairie Theatre Exchange). In 2015, Ms. Gorlick appeared as Morticia in Dry Cold Production’s hit – The Addams Family and appeared in both Rainbow Stage productions: the epic Les Misérables and hysterical Sister Act. Selected performer credits include: MTC/Theatre Calgary’s co-production of Evita, Rainbow Stage’s Wizard of Oz in the coveted role of Wicked Witch of the West, Jennyanydots/Gumbie in Cats and the ultimate role of Anita in the Banff Centre’s West Side Story. In film, Ms. Gorlick portrayed the principal role of Phyllis Flatow opposite Shirley Maclaine in the movie of the week, Hell On Heels: The Mary Kay Project. She acted as Assistant Dance Crew Liaison for Miramax Productions feature flick: Shall We Dance starring Richard Gere and Jennifer Lopez , and choreographer for Murdoch Mysteries. Ms Gorlick has worked as director/choreographer on numerous commercial projects including the the U of M’s Distinguished Alumni Awards, WAG’s Olympus Project, Grey Cup Gala 2015, SMD Foundation Galas, Culture Days Manitoba Flash Mobs, Manitoba Hydro’s Festival of Lights Parades, the Canadian Artistic Gymnastic Championships Gala and the Forks production for Queen Elizabeth II’s Royal Visit. As an Artist in the Schools, Brenda has created projects throughout the province for over 25 years. She also serves as resident choreographer/instructor for the Society of Manitobans with Disabilities and is part of the Winnipeg Theatre Awards initiative. She has previously held positions with the DTRC (Dancer Transition Resource Centre), ACTRA Manitoba and CAEA. Brenda is a guest professor in dance and musical theatre for the Universities of Winnipeg and Manitoba and a regular mentor for the ACI Manitoba Mentorship program. This is a free, family event. No tickets are required. He's a musician! He’s an inventor! He's a nut! He’s been called the Thomas Edison of entertainers, a wizard of one-liners and a lightning bolt of lunacy. His astounding gadgets, preposterous songs, impeccable comic timing and kooky take on classic vaudeville have thrilled and entertained fans of all ages for 4½ decades. Juno Award winner Al Simmons is a creative genius whose highly original performances of profound wackiness and of off-the-wall inventions have taken the arts of Music and Comedy to unparalleled heights of hilarity. 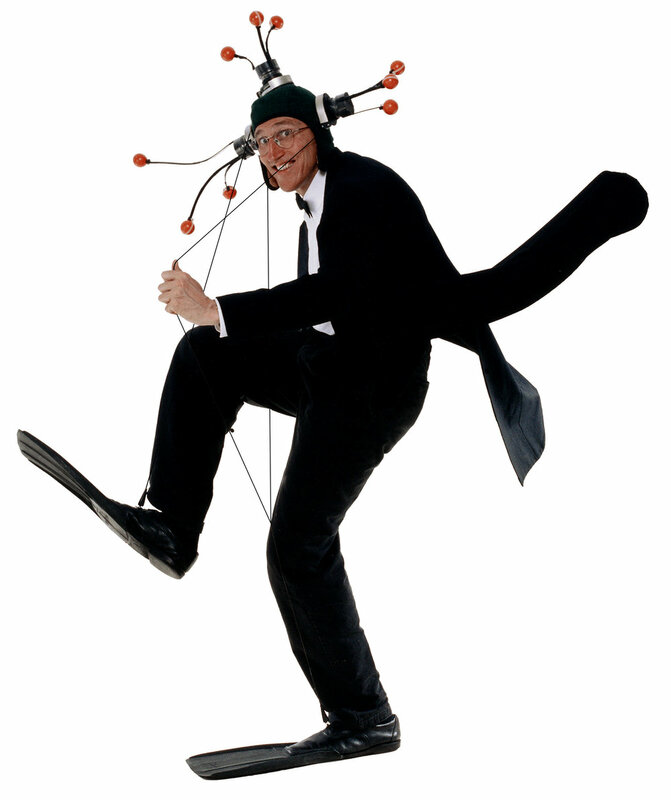 Young or old, you cannot fail to appreciate this man’s frenetic stage antics and mind-boggling lovableness. Growing up in a small Northern Canadian town has proven to be a catalyst for creativity. At 16 years old, JACKSON is just beginning to embark on his musical journey. Already an accomplished guitar player and performer, he is slated to release his debut EP "Breathe It In" in march of 2019. This show is presented by True North Touring and tickets are available through Ticketmaster. Tickets on sale February 15th. Rayannah releases her much-anticipated debut full-length album, “Nos repaires (Our Haunts),” due out on Friday March 8, followed by an album release show at the West End Cultural Centre on Saturday March 16. The record showcases Rayannah’s unique and signature electro-soul sound, and features songs created over a five-year span. Underscored by intricate beat-making and dense soundscapes, most of the songs on this record are sung in French, but emotion transcends language to pull listeners into a world both dark and sweet. EN : Rayannah bends noise into music by running voice, breath, synth and percussion through loop pedals. Underscored by intricate beat-making, her evocative lyrics in French and English rise above dense soundscapes, pulling listeners into a world both dark and sweet. FR : La voix singulière de Rayannah résonne en échos et en strates pour créer un tout à partir de rien. Munie de pédales loop, l’artiste bilingue construit des séquences sur place avec sa voix, son souffle, de la percussion et des synthétiseurs. Ses paroles viscérales en français et en anglais planent au-dessus de paysages sonores parfois clairsemés, parfois denses et complexes. Laughter is Medicine is back for the third time featuring new and returning Indigenous comics! Headlined by Florence Spence and hosted by Elissa Black Wolf Kixen. Bring your friends and family for an evening guaranteed to be filled with laughter! Get your tickets fast as the past two shows have been sold out! The upcoming February 15th 2019 release of their new album, Town, brings the dawn of a new chapter for LRH. A recording session at The Bathouse Studio near Kingston, Ontario with acclaimed Scottish producer and mixer, Tony Doogan (Belle & Sebastian, Wintersleep, Snow Patrol) brings about a refined and evolved sound for the band, reflective of their persistent drive to push themselves. This show is presented in partnership with the Winnipeg Folk Festival. Tickets go on sale November 30th. 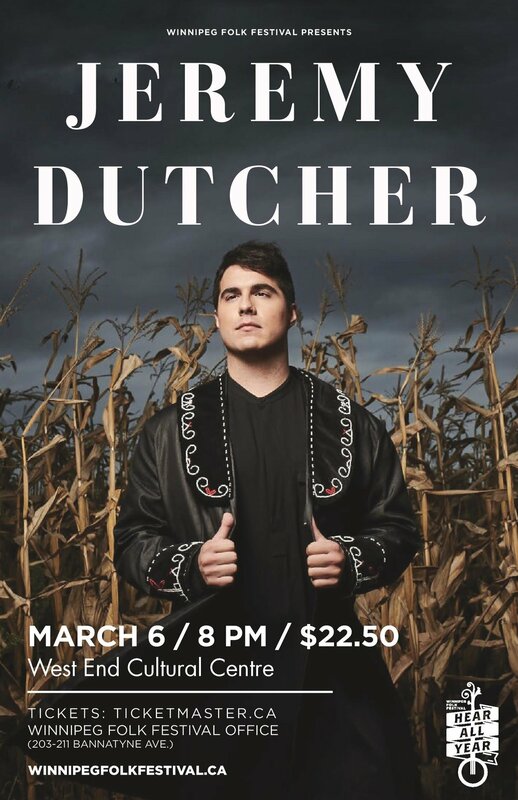 For tickets, please contact the Winnipeg Folk Festival at 204-231-0096 or purchase tickets online through Ticketmaster here.